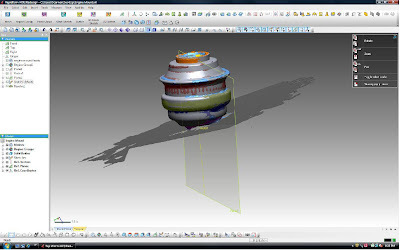 You said that you reverse engineered the engine mount right in SolidWorks, but isn't that a Rapidform XOR screenshot that shows the CAD model over top of the scan data? 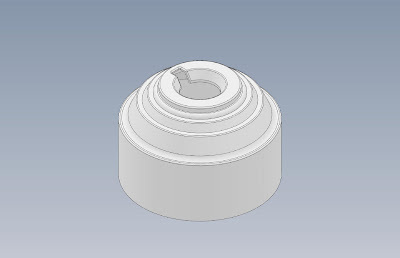 Did you build the model in Rapidform and then transfer it over to SolidWorks? If so, did you do part of the work in RF and part in SW? The heat shield (the lower picture in the post) is what I modeled right in SolidWorks, while the mount itself I scanned, cleaned up the data in RapidForm, then transferred that into SolidWorks to complete some of the finer details that are easier modeled in SolidWorks than RapidForm. Therefore, you are correct - the top photo is a screen shot of the work done in RapidForm before I transferred the date to SolidWorks.